The Blackhawks have a title to defend, the Bulls have a certain MVP point guard back, and the circus is back next month (! 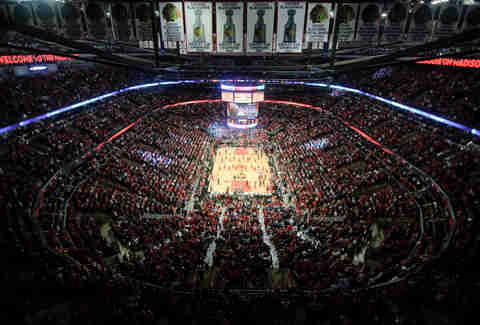 ), so needless to say, the United Center is going to be the place to be for the next few months. With that in mind, this hard-won wisdom will make sure you get the most out of your UC experience. Don't pay for parking. If someone else happened to hook you up with a parking pass, great, but otherwise there's plenty of street parking that's perfectly close by. You could use at least a little exercise before you drink and watch other people exercise. Don't get pizza. Look, stadium concessions are invariably overpriced. Complaining about them is pointless and cliched. And yet, doesn't there have to be some point at which the population draws the line and says "no"? Shelling out $17, or whatever they charge, for DiGiorno Pizza, is that line. Do scream like a maniac through the entire anthem at a Blackhawks game. No explanation needed. 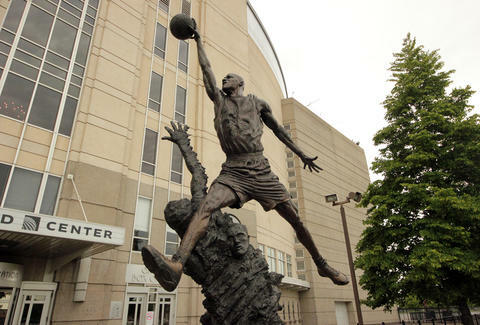 Don't start screaming and cheering before the word "free" at a Bulls game. Or any other game, while we're at it. The Blackhawks' anthem is its own special phenomenon. In any other context, premature merriment is obnoxious. Unless Jim Cornelison happens to be singing. Do verbally abuse the other team if you're sitting up close. This is more applicable for hoops, where a close seat affords you the priceless opportunity to unleash a verbal barb that's totally going to rattle Beno Udrih. Sadly, the best seats at the best games are generally wasted on those who can't appreciate them. Don't do so profanely if there are youngsters within earshot. Let them learn those words from their parents after the family dog eats a bag of Doritos and poops everywhere, the way it's supposed to work. Do remember to hang onto your Big Mac coupon if the Bulls score 100. Same thing with ol' Cuppy Coffee if you come up a winner on the Dunkin' race (Biggie Bagel never seems to come through in the clutch). You'd be amazed how many of these are forgotten and then absent mindedly laundered with a pair of jeans two weeks later. Do mercilessly 'boo' any random grown men competing in "Shoot the Puck" at a Hawks game. It's just the rules. Cheering is reserved for the invariable attractive woman and for children. Celebrity contestants fall under their own category and may cheer or 'boo' based on your personal convictions. Although, if you 'boo' George Wendt, you have no soul. Don't leave early. Leaving early is for Heat fans.